The president of the Parliament opened an investigation Thursday into the comments, for which Korwin-Mikke could face sanctions such as a reprimand, a fine or a temporary suspension. His latest blast came after he was challenged by female lawmakers during a visit to the Polish parliament in Warsaw. Joanna Scheuring-Wielgus, from the Modern party, accused him of offending women and said she would not allow him to do it again. “There are more women than men in Poland, we’re better educated, and I will not let you offend Polish women, European women and women all over the world. It’s a disgrace,” she told him. Korwin-Mikke has a history of getting attention for outrageous comments, including comparing the European Union to the Third Reich. In 2015, he raised his arm in a Nazi salute to make a political point in the European Parliament, the EU’s elected legislative arm, forcing the centrist government in Warsaw at the time to apologize and express shame for his behavior. 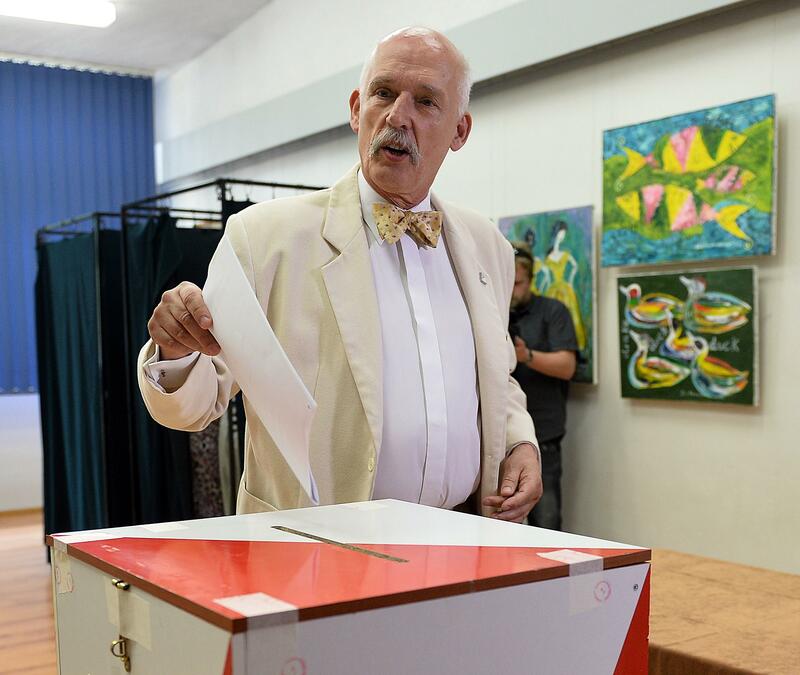 Korwin-Mikke heads a small party which won just under 5 percent of the vote in Poland’s last parliamentary election in 2015, failing to clear the 5 percent threshold to get any seats.